It is always thrilling to see a smile on a child's face. At my son's daycare.. (the one he has attended since he was 12 weeks old) We hosted a special celebration for all the children entitled Everybody's Birthday! Once we were given the go from daycare owner Kim Foster- she allowed us to come in for a day of fun and games with the children. We had a colorful setup, special treats and best of all we had a visit from Sprinkles the Clown. 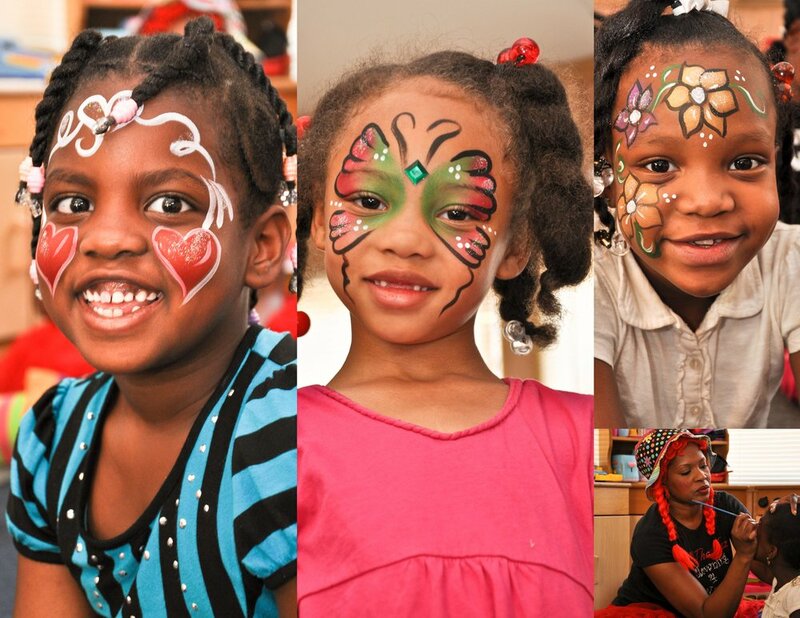 She dropped in and played games, did magic trick painted faces and even created fun shaped balloons. 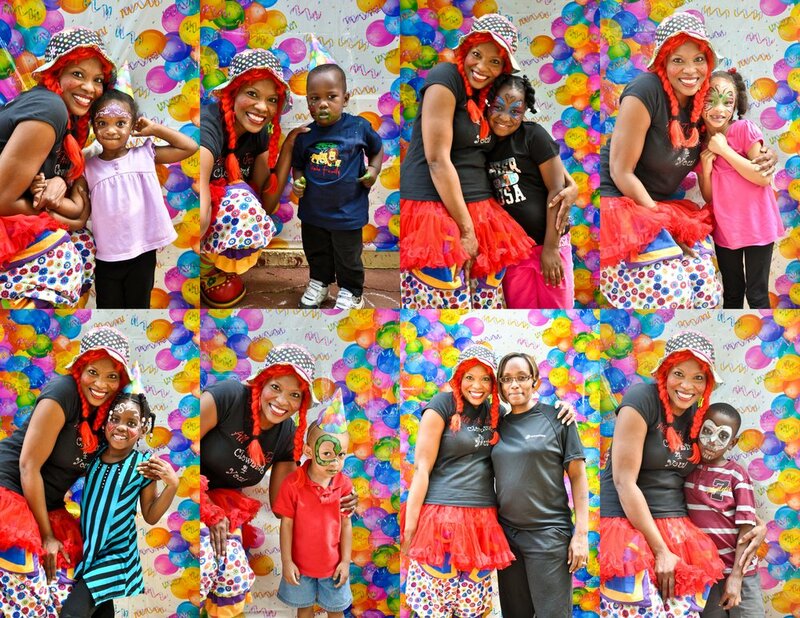 We customized the party with colorful Everybody's Birthday theme decorations & brightly colored balloons. Sprinkles entertained the children with a few magic tricks and some other delightful fun! Delicious treats were enjoyed by all the children! Cupcakes Yum Yum!!! After all the fun and games the children posed for pictures with Sprinkles! This day was a special one and the children talked about it for weeks long after! What a thrill it was to provide such a fun day on just a regular day to celebrate Everybody!! !